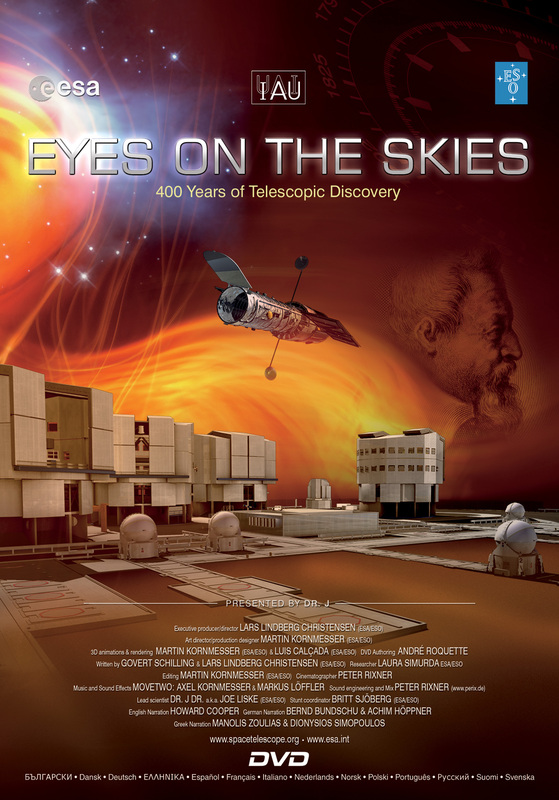 The Eyes on the Skies is a movie produced as standard DVD and Blu-ray format, freely available to TV broadcasters. It explores the many facets of the telescope — the historical development, the scientific importance, the technological breakthroughs, and also the people behind this ground-breaking invention, their triumphs and failures. It is presented by Dr. J, aka Dr. Joe Liske, a professional astronomer from the European Southern Observatory and host of the Hubblecast video podcast. The DVD runs for more than 50 minutes and contains subtitles in several languages.